Franchise Your Business (2016) reveals the ins and outs of setting up a business franchise. 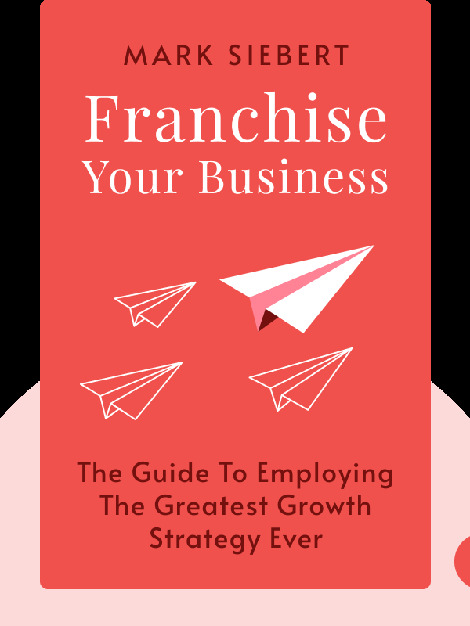 From winning over franchisees to ensuring your brand’s quality across branches, these blinks are a practical guide to franchising, helping you to scale up your business with a powerful growth strategy. Mark Siebert is an expert in franchising and founder of iFranchise Group, which specializes in franchisor relationships. Throughout his career, he has worked with companies like McDonald’s, Subway and Nestlé. He has also worked as a lecturer at Northwestern University and the University of Chicago.